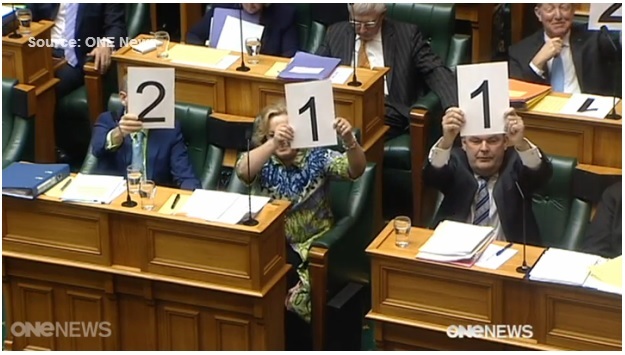 Love them or hate them, support them or be repulsed by them you have to admit that yesterday in the house the National Party had a brilliant moment of Political tomfoolery at the expense of the Labour Party turning the leadership run into an X-Factor type popularity contest. Well done on whoever thought that one up. I hope that we get some more clever, funny political moments in the next 12 months as opposed to the negative slanging match that we have started to see more and more of over the past few elections. 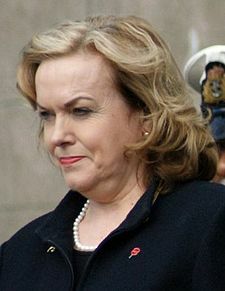 The Prime Minister says the public may pick up the tab for legal bills relating to the defamation suit threatened by ACC Minister Judith Collins. Ms Collins has accused Labour MPs Andrew Little and Trevor Mallard, as well as Radio New Zealand of defaming her over the leaking of the name of ACC claimant Bronwyn Pullar to the media. Ms Collins is adamant the leak did not come from her office. John Key told TVNZ’s Q & A show Ms Collins is entitled to ask for legal bills associated with any case to be paid for by the Crown. He says the Cabinet manual makes it clear Ms Collins can seek such help but says a decision on whether it would be granted has not been made by Cabinet. Mr Key says he backs Ms Collins, who is a person of the highest integrity and feels her reputation has been impugned. Seems her ‘integrity’ may not quite stretch to putting her own hand into her pocket…however I’m assuming that if ‘Crusher’ gets a payout she’ll cut us all in, that would seem to be the fair thing to do…if you use my money to fight the case…then surely I should get some of the dosh after settlement!